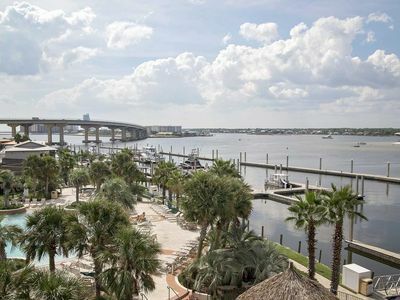 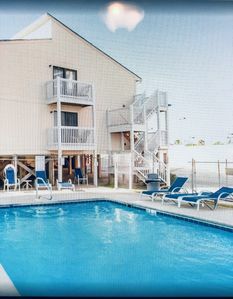 The Enclave is located in Orange Beach, AL. 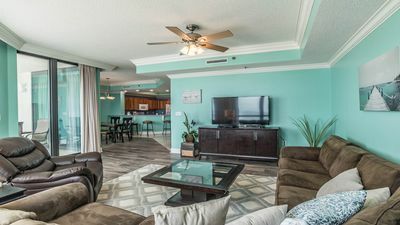 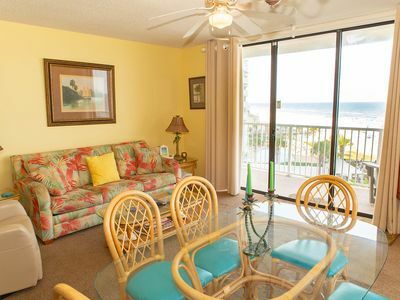 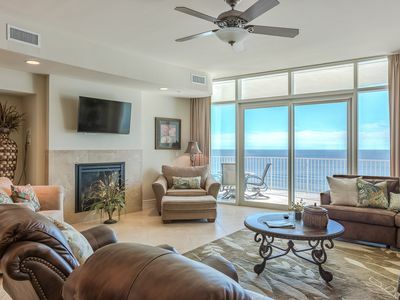 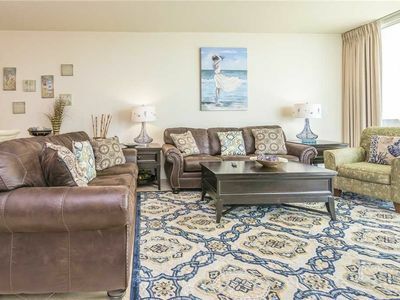 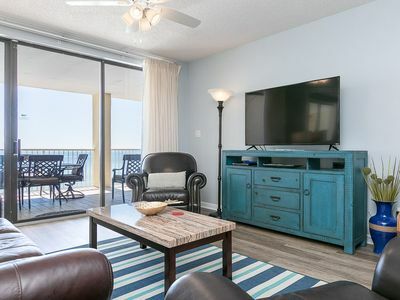 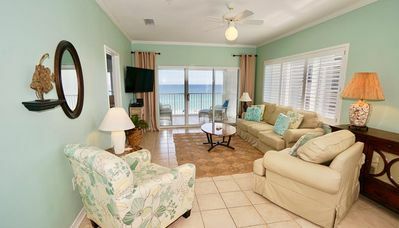 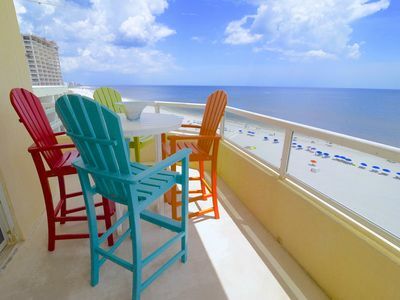 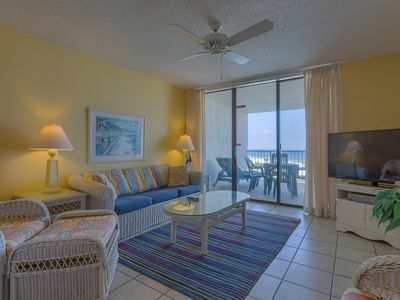 Enjoy a beautiful view of the Gulf of Mexico in the luxury of this roomy beach-front condominium. 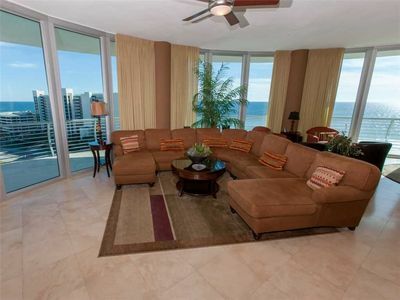 Located on the 9th floor, there are 3 bedroom, and 3 baths. 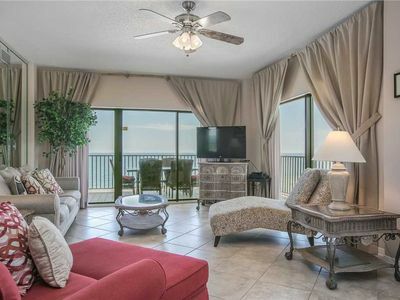 This end unit has a wrap-around balcony and an unobstructed eastern view. 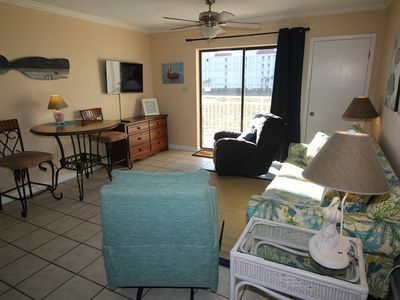 All bedrooms have their own full bathrooms and closet. 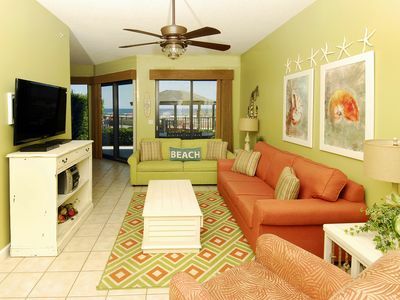 The master bedroom has a large walk-in closet with shower and separate Jacuzzi jetted tub with king bed. 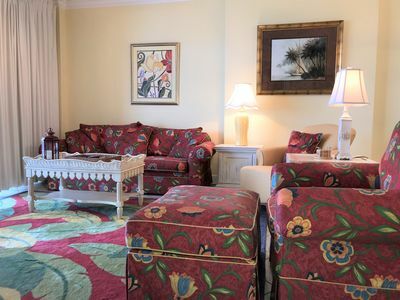 One of the other guest rooms has 2 full size beds and the other has a queen size bed. 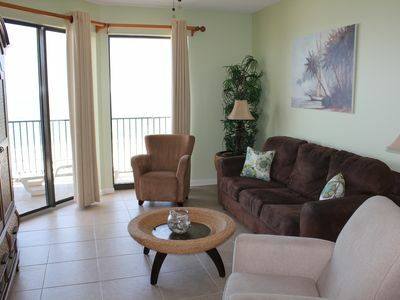 All rooms have their own televisions with cable and DVD player. 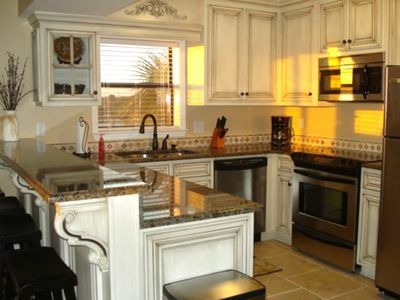 Make yourself at home in the kitchen preparing fresh area seafood or your favorite vacation dish. 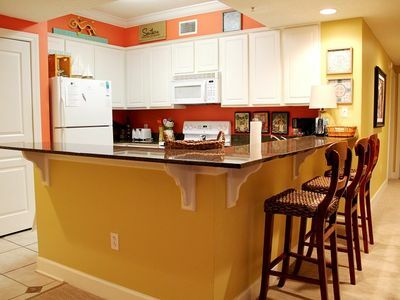 The kitchen has all major appliances including microwave, oven, refrigerator, coffee maker, glasses, dishes, etc. 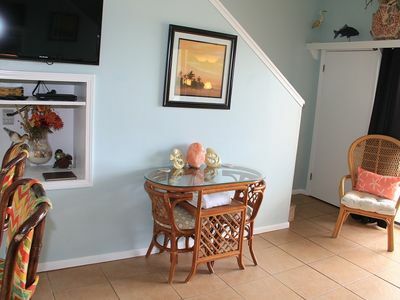 There is also a blender for making cool drinks to sip by the pool. 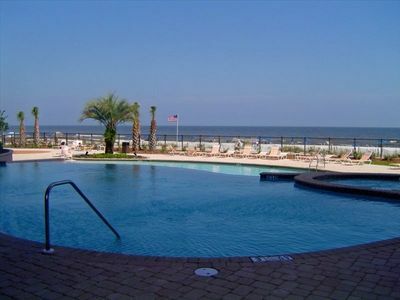 You will not be wanting once you are here.